According to a survey — before the recent economic downturn — about 20 percent of Americans believe themselves to be among the wealthiest one percent of the nation. Another 20 percent anticipate that they will one day claim membership among the wealthiest one percent. In other words, two out of every five Americans believe that they are or will possess enough wealth to be in the top one out of a hundred. Despite all their efforts, the axe fell. But the executioner’s blow never landed, checked in mid-swing by the divine hand, which concealed itself within a long series of improbable coincidences. Insights into the festival of masks and mystery. 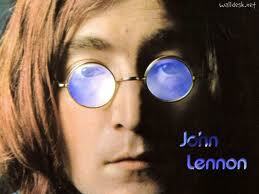 John Lennon meets Haman, with great flights of fancy and the futility of impossible dreams. The Torah approach to terrorism. Reflections on the mask of the world, brought into focus looking down the wrong end of a gun.